It’s fashion week here in New York, when designers introduce their spring 2009 collections and Bryant Park is taken over by tents and TV crews. 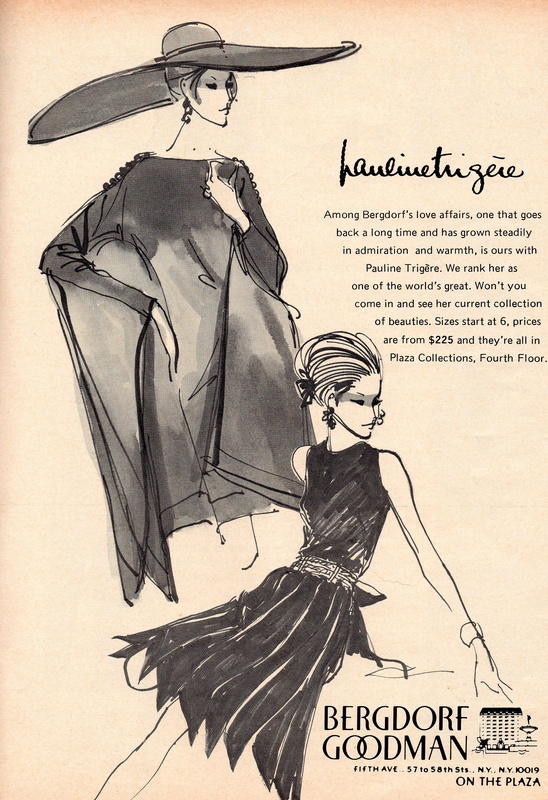 With clothes and style setting the city’s mood, let’s go back 39 years and look at this full-page Bergdorf Goodman ad, from the March 1970 Cue magazine, trumpeting their new Pauline Trigere collection. What’s startling is that the collection begins at a size 6. Today, dress sizes begin at zero! A size 6 is about as high as any self-respecting fashion chick is willing to go.